I am one of those guys who loves to hate shaving, being dark haired and pretty hairy I tend to have to shave every couple of days to look presentable. I have had a trim beard for the last five years so shaving could be worse but still can be a chore. I am often asked about what products I use shaving so I thought I would break down the products and my routine. I always start by steaming my face with a hot flannel soaked in hot water, this open the pours and I have always found it helps my skin prepare for shaving. 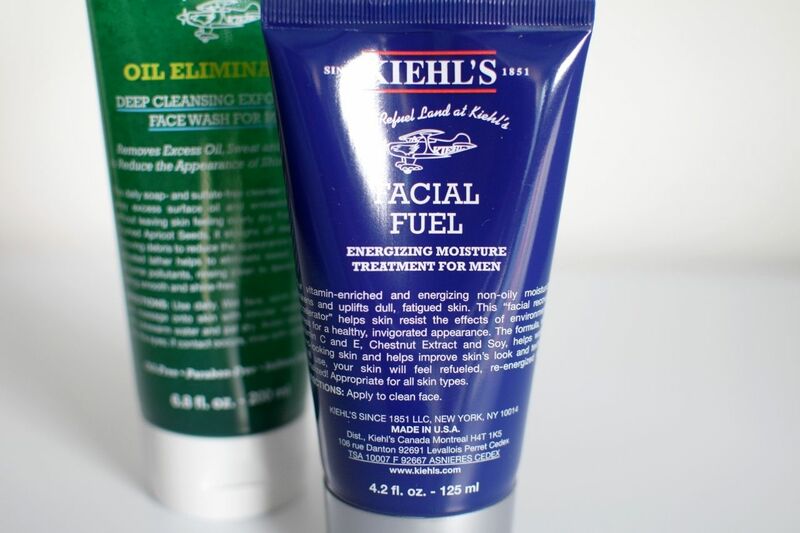 I am currently using Kiehl’s Men’s Oil Eliminator Deep Cleansing Exfoliating Face Wash, as the name suggests it is great to help reduce the oil in my skin. The exfoliator has very fine visible grains in it, crushed apricot seeds to be precise and helps to clean away sweat and excess oil. I have sensitive skin especially around my eyes and forehead and it works great for me. As you would expect from a Kiehl’s product, it is oil and sulphate free, which can be important for those who might suffer from oily skin. It is easy to wash off and is not overly sticky like some others I have used. A little heads up, a little goes quite far so just be careful, as you do not have to be liberal like with many other products. I use a manual razor all the way, I find razors provide a much better and closer shave, especially with my beard you can control what you are shaving off. 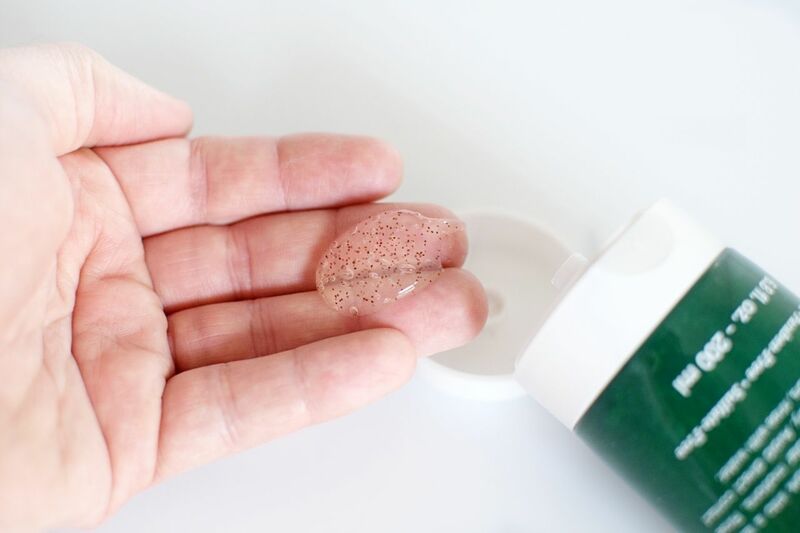 After washing away the exfoliant, I apply the Gillette Fusion Sensitive 2 in1 Active Sport Shave Gel to my damp face; it is 90% transparent so you can see what you are shaving. It is easy to shave with, easily washed off and it smells great. 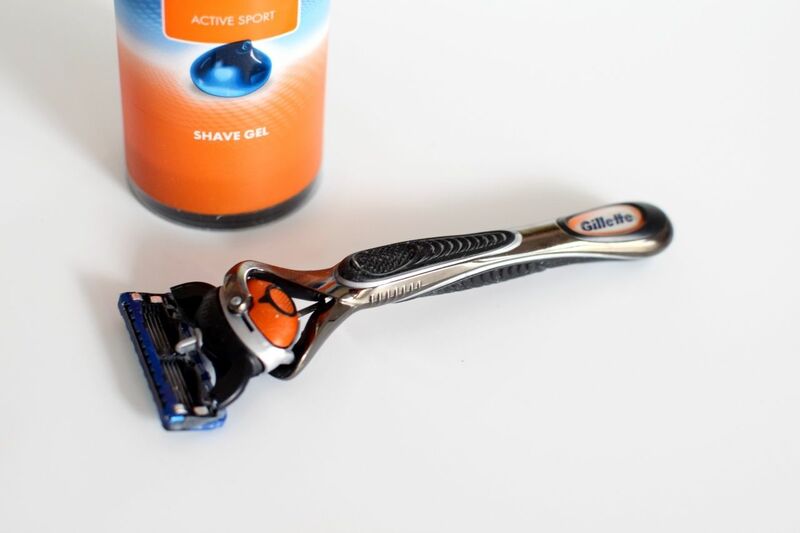 I have also recently moved over to the latest Gillette manual razor, the Fusion ProGlide with Flexball. If you have seen the TV advert, it definitely does what it suggests. If you have facial hair or constantly freshly shaved you will like the “flexural” head. It allows you to shave naturally and not worry about cuts, razor burn or tugging hair out instead of shaving. What I like about this razor is it has five fine blades giving you a super smooth finish and if you are a perfectionist like me you can turn the razor round for the precision trimmer to shape you beard or side burns. After finishing shaving I use the flannel to remove any remaining gel and freshen up my facial for the next step. This is my favourite part of shaving, cooling my face and using the great Kiehl’s Facial Fuel moisturiser, facial fuel has been my go to after-shave product of choice for a few years since Paula bought me it as a present. Facial Fuel is enriched with caffeine and vitamins, so it really does feel like it gives your face a boost and cools from shaving. As I mentioned earlier I have sensitive skin and it definitely cools down any razor burn and like the exfoliating cream it smells great and can leave your face moist all day. I actually tend to use it all over my face and neck and cannot recommend the facial fuel enough. It is not the cheapest on the market but definitely the best I have ever used. If you are aeging or worried about showing aeging, I recommend checking out the Kiehl’s toner too. I use it twice a week and really does work before using facial fuel.